Thanks to @semibogan for tweeting this reminder that security doesn't start and end with OpSec (Operations Security). 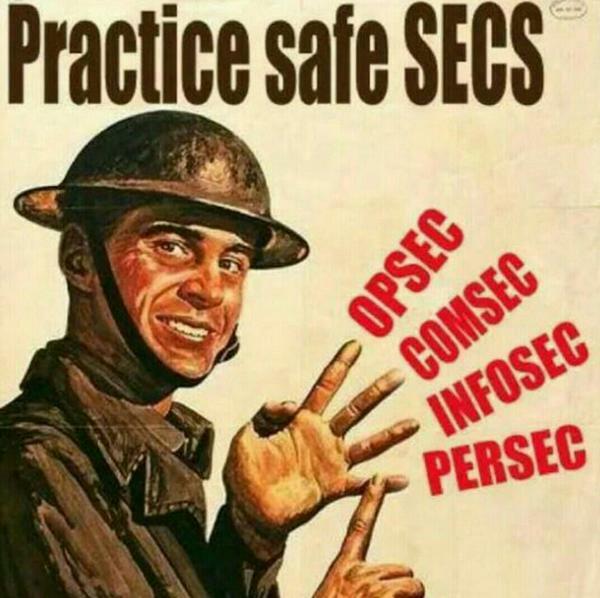 There's also ComSec (Communication Security), InfoSec (Information Security), and PerSec (Personal Security - if you can find a good link describing it let me know, but it's basically like OpSec but for protecting you as a person rather than protecting an operation) . There are others, too, and there's conceptual overlap between them. The point is, being able to formally distinguish between them means you have a better understanding of them and hopefully a better handle on how to apply them.